Total investment in the electronic communication sector increased for the first time in two years. Total investment amounted to €4,480 million in 2010, including operators from the audiovisual segment, 4.56% more than in 2009. 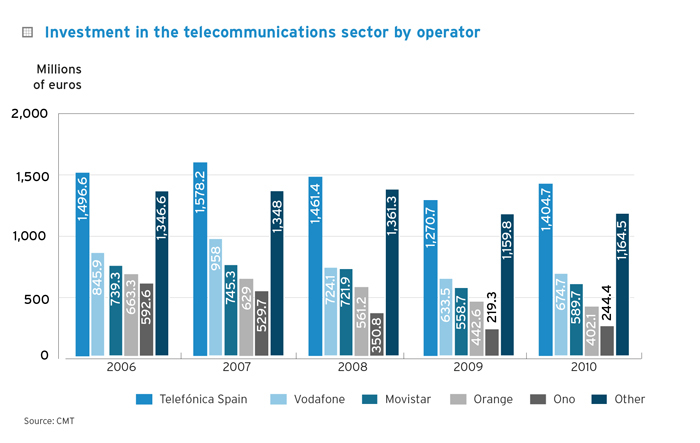 In 2010, Telefónica of Spain and Vodafone increased their investment by nearly 10% and 6% respectively. Movistar increased its investment by 5.5% while Orange reduced its investment by 9.15%. Ono and regional cable operators increased their inverstment by 11.45% and 0.4% respectively. Only a few operators, namely Jazztel, TeleCable and R, increased their investments by more than 30%. 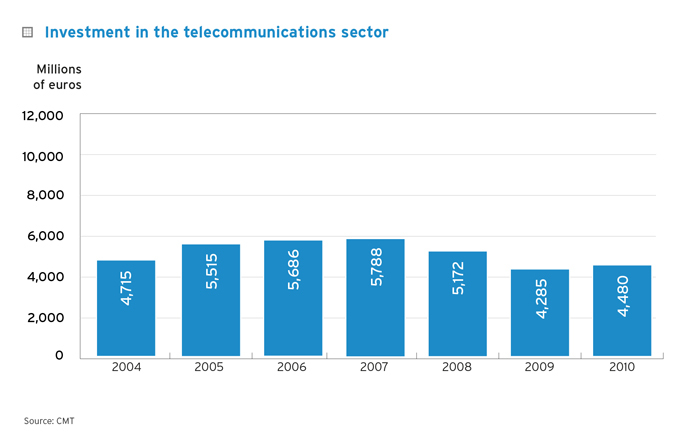 Evolution of investment in the telecommunications sector in the period 1998 – 2010.